The Caribbean Court of Justice in Port of Spain. 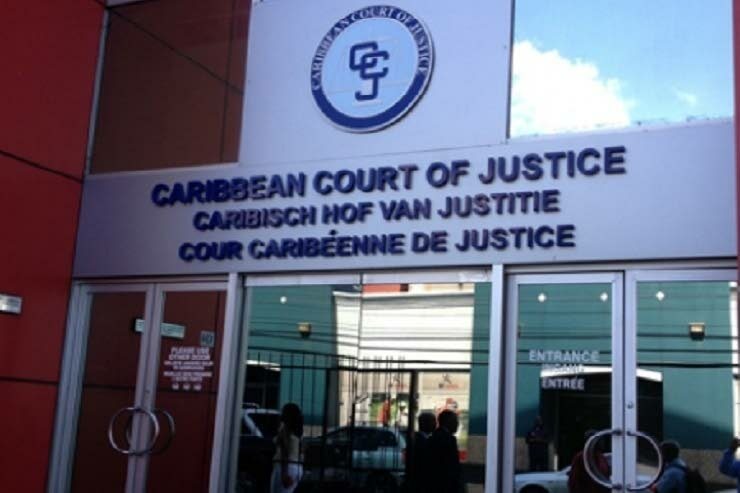 THIS week will be a busy one for the Caribbean Court of Justice (CCJ) in Port of Spain. Two important rulings are expected to delivered and the court will hear three cases, many of which have constitutional implications. Judgments will be delivered in two consolidated death penalty cases from Barbados. The CCJ will also give its decision on the validity of an amendment to the Guyana Constitution that altered the qualification to be elected president of that country. In the Guyana case, there was an amendment which prohibited candidates who had served two presidential terms of office from serving a third term. Hearings this week also include a matter involving efforts to have a Belizean judge investigated, a Guyanese case in which a challenge has been made to a statute prohibiting males from dressing as females, and a case from Belize in which a financial institution is seeking to have an award of US$4.46 million reinstated. Tomorrow, judgment will be delivered in the AG vs Cedric Richardson, in the appeal of the appellate court’s decision which ruled, by a majority of two-one that the amendment indirectly breached Articles 1 and 9 of the Constitution, which entrench the concept that Guyana is a secular, democratic state in which sovereignty belongs to the people of Guyana. Richardson successfully argued in the Guyanese courts that the amendment breached his right to elect a president of his choice. After giving its judgment in the Richardson case, the court will hear a matter in which Dean Boyce, British Caribbean Bank Ltd and Lord Michael Ashcroft are challenging the decision of the Belize Judicial and Legal Services Commission (JLSC) to decline to move forward with a complaint against a judge. They are asserting that the JLSC should determine whether a Belizean Justice of Appeal should be investigated for misbehaviour and/or inability arising from concerns over “excessive delays in the delivery of judgments” while he was a judge of the Supreme Court. On Wednesday, the court will deliver its ruling in a pair of death penalty appeals from Barbados. Two men were convicted of murder in separate cases and each was automatically sentenced to death. Both are appealing against their conviction for murder. The central issue uniting both appeals is that of the constitutionality of the mandatory sentence of death. Hearings resume on Thursday, in the matter of trangender men Quincy Mc Ewan, Seon Clarke, Joseph Fraser and Seyon Persaud, who are challenging their convictions for the offence of being men who were wearing female attire in public for an "improper purpose." On Friday, Titan International Securities is challenging the decision of the Court of Appeal of Belize to set aside an award of US$4.46 million in compensatory damages. Both the High Court and the Court of Appeal in Belize agreed that a search and seizure of Titan’s premises was conducted in an unreasonable and excessive manner and in breach of the company’s constitutional rights, but the Court of Appeal held that Titan did not prove that losses were suffered as a result of the breach. Titan is also challenging the constitutionality of a section of the Mutual Legal Assistance and International Cooperation Act. Reply to "Busy week at CCJ"